In case you thought it was just Democrats filibustering the spending bill on the Senate floor, think again. There are actually two Republicans who joined the gun control filibuster, because they seem to agree — or at least want to participate in the conversation — that there's been enough gun violence in this country. Since Democratic Sen. Chris Murphy began the filibuster on Wednesday morning in a stand against Congress' constant "moment of silence" when it comes to gun violence, dozens of senators have joined him on the floor to take a stand. Republican Sen. Pat Toomey from Pennsylvania and Sen. Ben Sasse from Nebraska joined the Democrats (and Maine independent Sen. Angus King) in a speech currently blocking a vote on the 2017 Commerce-Justice-Science spending bill, a bill to which Murphy filed an amendment for in order to add gun control provisions, such as universal background checks. "There's an obvious opportunity here, guys, to work together and find the solution," Toomey said. "What I'm suggesting is let's get to work here." According to CNN, the senator is in a close re-election race and is talking to Everytown for Gun Safety regarding a gun control measure to better prevent potential terrorists from legally buying guns. Toomey said, "I'm of the view that it's time to get something done here." Sasse pointed out his concerns with the amendment that might not allow people who have been on a watch list to buy a gun, stating, "I'm familiar with the terrorist screening database. There are a series of lists that fall from the database, but I don't think there's any such thing as 'the terrorist watchlist,' and I certainly don't understand what due process rights would apply." 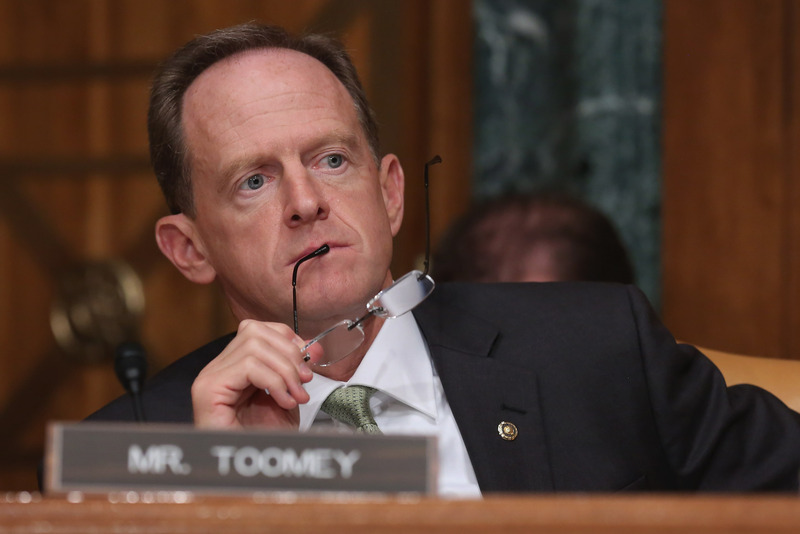 Toomey also disagrees with officials having the right to block people from buying a gun merely because of being on a watch list, but said he plans to create a compromise bill that would conjoin two current proposals from the opposing sides. While Toomey and Sasse aren't giving their overt support to the amendment, they are at least joining in the discussion, which is what America really needs right now — to at least talk about what's happening, rather than staying in the partisan lanes of "no gun control" and "all the gun control." There's a middle ground here, and these two Republicans proved, just by participating, that they're ready to find it.